France beat Croatia in the World Cup Final in Moscow on Sunday. But in the Belford version, which was held the same day, it was Croatia who triumphed 6-2. 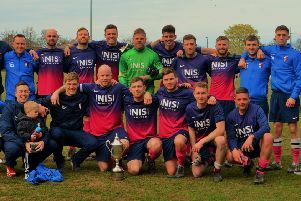 The match was held as part of Belford’s preparations for the forthcoming season in the North Northumberland League – if the club can raise enough players to kick off the new campaign.